Jan Dismas Zelenka's music exhibits contrapuntal mastery and harmonic inventiveness, qualities that were particularly admired by his contemporaries Johann Sebastian Bach and Georg Philipp Telemann. His music which was not widely disseminated during his lifetime due to the protected status that compositions by the Dresden composers held, has in recent years seen a revival of interest, mainly centred upon his vocal compositions, which is surely warranted on the basis of the originality of his language, "the private rhetoric of the heart" which Dr. Wolfgang Horn refers to. Jan Dismas Zelenka was born in Lounovice, a small town in central Bohemia, (now Czechoslovakia) south east of Prague, and was baptised on the 16th October 1679 in the local Catholic church, with the names Jan Lukás in the baptismal register. Jan Lukás was the eldest of the eight children born of Maria Magdalena (née Hájek) and Jiri Zelenka. His father was the local kantor and an organist and provided his sons early musical education. The name Jan Dismas probably originates from his confirmation. Following his early education with his father it is assumed that he studied in Prague at the Clementinum. Zelenka maintained a long association with the Clementinum which possessed a Jesuit college and university and was a renowned centre for music. In 1704 Zelenka wrote the school drama in honour of Count Cernin Via laureata magnis virtutum (now lost). At the Clementinum, church music, school dramas with accompanying music, and Easter oratorios called sepolcra (after the symbolic grave at which they were played) were performed. Sepulchrum oratorios were particularly popular in the Bohemian lands and Zelenka's Musica…ad sepulchrum sacrum (1709) ZWV 58 was the first of three sepulchrum oratorios he composed for the Clementinum. From 1709 when he lived in the house of a member of the von Hartig family he maintained a lifelong contact with this family and it is also possible that he wrote instrumental music that does not survive for Baron Hartig's orchestra. Events taking place in neighbouring Saxony were now to influence the remainder of Zelenka's life and work. The Elector Friedrich Augustus converted to Catholicism in 1696 to serve his political ambitions and enable him to be crowned King of Poland. When he converted a theatre within the Dresden court into a Royal Catholic chapel in 1708 this served a dual purpose, it confirmed to the Pope the sincerity of his conversion and it avoided offending the sensibilities of the Lutheran population. The royal chapel was staffed by Jesuits and came under the jurisdiction of the Jesuit province of Bohemia in 1710. 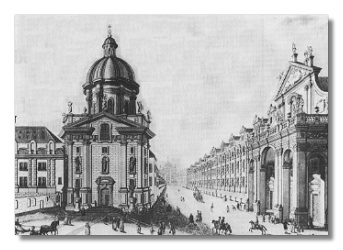 As the majority of the Dresden population was Lutheran and no tradition of Catholic church music existed a number of young choristers and instrumentalists were recruited from Bohemia to serve the liturgical requirements of the chapel. One of the young choristers, Frantiek Benda, later became Konzertmeister to Frederick the Great. Between 1714 and 1716 Zelenka'a exact movements are not known however a set of non-autograph parts dated '1715' have been found in Prague (Offertorium de Beatissima Virgine Eja Triumphos pangite ZWV233) and for Easter 1716 he composed his third Sepulchrum Oratorio for the Clementinum in Prague (Deus Dux ZWV 60). Although Zelenka is mentioned as one of a quartet of Dresden court musicians who were to be sent to Venice to attend to the Electoral Prince Friedrich August and unconfirmed reports from the nineteenth century suggest he received instruction from Antonio Lotti during this visit it is not clear whether he actually reached Italy. Dated works and Zelenka's annotations in the four volume collection of compositions Collectaneorum Musicorum Libri Quatuor de diversis Authoribus confirm that he was in Vienna in mid 1716, 1717, 1718 and 1719. Zelenka was one of the Dresden musicians who accompanied the Electoral Prince to Vienna and during this time he studied with Imperial Kapellmeister Johann Joseph Fux who according to Furstenau was extremely pleased with Zelenka to the extent that he urged the King in a letter to send him to Italy ' in order to learn everything and not only my style.' Zelenka's Four Caprices dedicated to the Electoral Prince date from this period. During this time in Vienna Zelenka was not only expected to improve his compositional skills and absorb the latest musical styles but also to acquire copies of liturgical music for performance in Dresden. Zelenka seems to have set about the task of acquiring liturgical music with a vengeance and obtained numerous copies of suitable compositions from professional scribes as well as writing out many himself! Payment for acquisitions of this kind were not met by the treasury but from the composer responsible for the performance and Zelenka referred to these activities in an application for a salary increase and possibly the 50 thalers he received whilst in Vienna relates to these. The collection of copies and transcriptions which Zelenka made includes 'divini composizioni' by Palestrina, a highly prized Miserere setting of Allegri, the Fiori Musicali of Frescobaldi, Magnificats by Morales, a canon in honour of Fux by Angelo Ragazzi as well as canons by Fux and Zelenka himself. The establishment of the liturgical repertoire of the Dresden Catholic court church from ' scratch ', so to speak, far exceeded the capabilities of the Dresden composers even after J D Heinichen added his compositional talent to this task. Where better than in Vienna with its long tradition of Catholic church music could music be acquired to be incorporated into the repertoire? Indeed the courts of Vienna and Dresden would soon be linked not only by Catholicism but also by the marriage of the Archduchess Maria Josepha, the eldest daughter of Emperor Joseph I to the Electoral Prince Friedrich Augustus in 1719. "always derived great pleasure from fugues, especially as he had formerly been initiated into them in Vienna by the accomplished church composer Zelenka, who was at that time studying with Fux." Was Quantz Zelenka's first pupil? Zelenka returned to Dresden inspired, and created a collection of vocal compositions a capella for five voices, 18 Cantiones sacrae based upon his study of Palestrina's works and representing his assimilation of the 'stylo antico' into his own style. He also returned with a host of connections which would help establish and enrich the Catholic liturgical repertoire for years to come. Alongside Fux there was his ' assistant 'Antonio Caldara and Georg Reutter the elder, Kapellmeister of the Cathedral of St Stephen. Antonio Caldara's works feature more than any other contemporary composer in the scores Zelenka acquired, amongst the over 50 Caldara items in the Sächsische Landesbibliothek can be found several volumes of autograph manuscripts including the only surviving set of madrigals by Caldara as well as a group of manuscripts of liturgical music prepared, probably with Caldara's approval for the court at Dresden. Early in 1717 Johann David Heinichen arrived in Dresden as Kapellmeister and after the opera scandal of 1720 the Protestant Heinichen concentrated upon the composition and performance of liturgical music for the Catholic court church. After the closure of the opera house Catholic church music, in artistic terms, became a kind of Ersatz opera that found room, alongside more conservative varieties of church music, for brilliant expressions of the concertante spirit. On high feast days and state occasions liturgical music was performed by the members of the Hofkapelle as well as the Hoftrompeters whilst the increasingly expert young Bohemian church musicians performed the ' ordinary ' music of the church. Throughout the 1720's the music provided for the Catholic court church by Heinichen and his assistant Zelenka was actively supported by the Electoral Prince and Princess. Whilst Johann Georg Pisendel was the key figure in the alteration of compositions to fit the Dresden aesthetic with respect to instrumental music, Zelenka and Heinichen also made alterations to 'imported' sacred music. Examples include Zelenka's reworking of a mass by Francesco Durante where short polyphonic choruses entirely foreign to its style of composition are added. Works by Lotti, Caldara and Palestrina are also subjected to alteration which usually took the form of augmentation of the number of instrumental lines as a minimum. "The concertante effects and interweaving effects of the violins with one another, which occurred in the ritornellos, although it consisted for the most part passages which on paper may here and there have looked quite stiff and dry, nevertheless had, in the open air and with such lavish resources, a very good effect, indeed perhaps better than a more 'galant' melody ornamented with many decorative figures and quick notes would have been in the circumstances…." As their contribution to the festivities the Jesuits organised a festive performance on the 12th November 1723 of a Melodrama about St Wenceslas entitled Sub olea pacis et palma virtutis conspicua Orbi regia Bohemia corona ZWV 175 which Zelenka composed and directed and which the Emperor and Empress attended. Frantiek Benda was one of the choristers involved in the performance. The performance was a great success both for the Jesuits and Zelenka and a second performance (possibly on the 16th November) took place. Whilst in Prague Zelenka also composed a number of instrumental compositions. 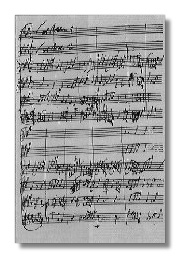 The autograph score of Concerto à 8 concertanti has the following legend: ' six concerti written in a hurry in Prague in 1723 ' The original score bears witness to this in being almost indecipherable in places. Only four of the six pieces survive today, Hipocondrie à 7 Concertanti ZWV 187, Simphonie à 8 Concertanti ZWV 189, an Overture à 7 concertanti and a Concerto à 8 concertanti ZWV 186. These works which are not highly polished possess a vitality and spontaneity of invention which on hearing make us regret that Zelenka did not write more instrumental music! Heinichen's failing health in his later years meant that he increasingly came to depend upon his assistant Zelenka and upon his death in 1728 Zelenka assumed his responsibilities for the repertoire of the Catholic court church in full. Zelenka confidently expected to succeed Heinichen as Kapellmeister and clearly must have been bitterly disappointed when Johann Adolf Hasse was appointed to that position. In 1733 a draft petition reveals that Zelenka is reduced to begging Maria Josepha for help. As well as being ill he also suffered ' certain misfortunes ' which left him lacking in financial resources. On 1st February 1733 Augustus the Strong died and Zelenka provided the Requiem ZWV 46 and 7 Responsoria pro omnibus tribus Nocturnis at very short notice. Following the Kings death the court musical arrangements were changed considerably and the Bohemian choristers were dismissed and replaced by vocalists from the Hofkapelle. When Friedrich Augustus was crowned King of Poland in October 1733 Zelenka wasted no time in applying for the vacant, as he believed, position of Kapellmeister. On 28th November 1733 he addressed to the King a petition which clearly shows his frustration and bitterness. "Before the feet of Your Royal Majesty your most dutiful servant throws himself in deepest submission as a suppliant, because he is compelled to this course by most pressing need. Hitherto the knowledge that Your Majesty is always so deeply and so laudibly concerned with a multitude of public matters both at home and abroad has restrained him from burdening Your Majesty still further, but he now feels compelled most submissively to do so: Your Royal Majesty will be most graciously aware that I have been privileged to serve Your Majesty's exalted house for 24 years, in particular serving Your Royal Majesty's person in Vienna, at the command of his late Majesty your Royal Father of most glorious memory who now rests with God, remaining for a year and a half most humbly in your service without the slightest hope of profiting by my music; at the same time the other musicians who had been sent there from here received abundant provision for all their needs. Following my return from Vienna I first assisted Kapellmeister Heinikken to provide the Royal church music for many years, and since his death I have composed and directed most of the music myself. In order to obtain the necessary music from elsewhere, and to have both that and my own music copied, I have been compelled, to my great loss, to lay out almost half of my salary….I therefore beg you, at your feet, to be graciously pleased to confer on me the position of Kapellmeister which became vacant on the death of Heinichen, and which I have since filled in an acting capacity. I also beg you most graciously to add to my previous renumeration some part of his former salary as from the date of decease…." Zelenka's application was turned down! Although Zelenka was normally in charge of the church music, on festive occasions Hasse took over! In 1735 Zelenka was finally and simultaneously with Tobias Buz named Church Composer( Kirchen-compositeur). In 1736 J.S. Bach was also given the title Church composer, in an honorary capacity and consequently Zelenka and Bach were therefore the first composers to bear this title. Zelenka consistently received a lower salary than other composers at Dresden, indeed by this time his salary was 900 thalers which was less than Heinichen received on entering service in Dresden in 1717 which suggests that he was not highly regarded at court. Why is this?, as on his death we know that his works were protected and that from Zelenka's unknown beneficiaries Maria Josepha purchased his entire musical estate and thus preserved for us his liturgical riches composed during over thirty years service at Dresden. The second 'short' Missa Dei Filii ZWV 20 (containing only a Kyrie and Gloria) and Missa Onmium Sanctorum, dated 3rd February 1741, is designated by Zelenka as not merely the last of the group of six 'last' masses but "perhaps the last of all" These last Masses were not written for performance in Dresden but for himself, God and those few patrons who valued his art. In that sense they are 'ideal' compositions. Zelenka died of dropsy on the 23rd December 1745 two days after the occupation of Dresden by Frederick the Great. On Christmas Eve he was laid to rest in the Catholic cemetery. Zelenka who died a bachelor, appears to have been a choleric recluse, broody and increasingly melancholic in his old age, yet he did have a close friend in Pisendel, Concert master at the court. Telemann described Pisendel as Zelenka's "bosom friend". After Zelenka's death Pisendel, with Telemann's help attempted to publish settings of Zelenka's 27 Responsoria. Pisendel went about this in a very discreet manner as a letter of 16th April 1749 requesting that the print be kept incomplete so that no-one could establish the provenance of the copies testifies. In contrast to his treatment when he was alive Zelenka's works were closely guarded and regarded as the courts possessions. Telemann wrote on the 17th April 1756 about the Responoria, which was never published that "the complete manuscript will be at the Dresden court, kept under lock and key as something rare…", nothing escaped the Dresden lions! Recently Wolfgang Reich's discovery of the Diarium of the Dresden Jesuits gives much more detailed information concerning the interactions between Zelenka, Heinichen and the Dresden court musicians. This is published in the proceedings of the second Zelenka symposium. By the late 1960's and early 1970's all Zelenka's instrumental compositions and selected liturgical music were published in Czechoslovakia. Now that Zelenka's output has been systematically catalogued many more works are becoming available as printed scores and in consequence increasing numbers of performances and recordings of Zelenka's works are becoming available so that his musical legacy will live on. This webpage is dedicated to Jan Stockigt who has given me considerable help in its creation.